For the second consecutive winter, Maine does not have enough drivers to plow snow, despite new incentives from the state. 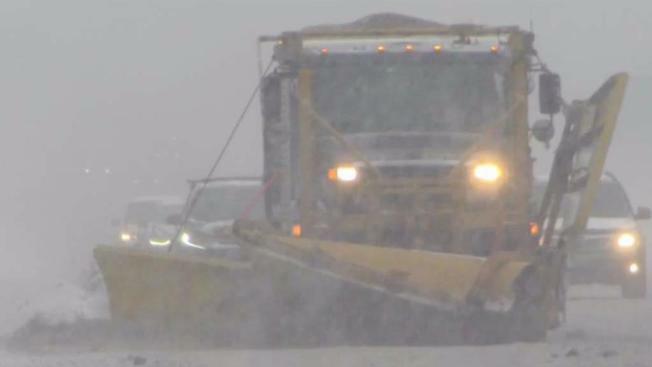 For the second winter in a row, the Maine Department of Transportation is trying to hire snow plow drivers. The department has about 50 open positions. "We're trying to be creative to really compete for the experienced work staff that's out there," said Maine DOT spokesperson Ted Talbot. He the said the statewide worker shortage is the driving force behind the problem. Maine's unemployment rate is at about three percent. The DOT has tried to offer new incentives to recruit more drivers, such as a $1,000 winter stipend, but the number of unfilled driver positions has remained about the same. To fill in the gaps, the DOT has turned to an outside contractor called First Vehicle to supply 24 additional drivers. "We do have enough personnel to plow the roads ... so that's not the concern," said Talbot. "It's more of an in-house concern. What kind of rotations can we put these people on, and still remain safe and everybody rested?" Talbot said customer service levels will remain the same and drivers should not notice a difference in quality, despite the worker shortage.